Valpar, in Bangor, Northern Ireland, was the first company in the world to produce machine made python. Since this ground breaking invention, Valpar continues to be the world leading manufacturer of python and tubing. ​Valpar patented core skills are single and multi-layer tube extrusion, bundling, shaping and welding and we offer innovative solutions to a diverse range of worldwide industries including beverage dispense, marine, caravan, automotive, pneumatics and medical. Products are manufactured under the stringent quality control of ISO9001:2008 and environmental control of ISO14001:2004 ensuring customers receive quality products for every solution. Valpar can also design products to meet specific approvals for specific industries. Valpar has the technical knowledge and know how to offer you innovative solutions for your application. New products and processes are always being developed and Valpar's technical team continues to work on areas of particular interest to our quality focused customers. Valpar Micro Matic has designed a highly engineered beverage tube incorporating an exceptional gas barrier layer. Independent testing has shown that, in terms of performance, Gen-X is superior to Brewmaster 2. • Gen-X tube is ideal for protection against both cross migration and full immersion in glycol solutions. • Product quality is further safeguarded by the inclusion of the highly engineered barrier layer by almost full retention of the dispense gas throughout the tube length. • Nylon has been retained as the inner layer due to its hydrophilic property which combine with its ultra smooth surface and the highly engineered barrier layer gives Valpar its next generation tube. • This next generation tube is the ideal for protection against both cross migration and full immersion in glycol solutions. 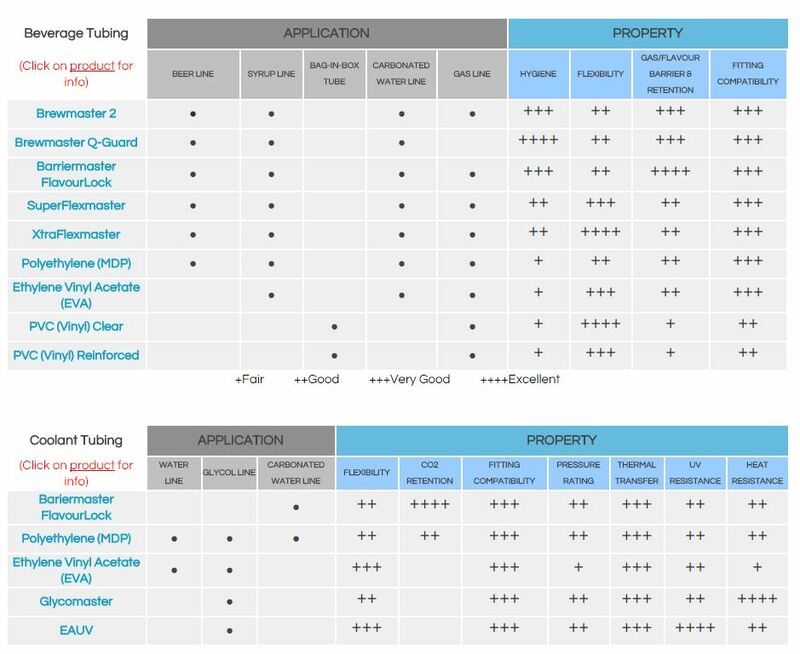 • The microbial growth tests indicate that the cleaning cycle for the next generation tube could be increased to at least approx 6 – 8 weeks where currently the cycle time is 3 – 4 weeks. This will be determined by the type of system. 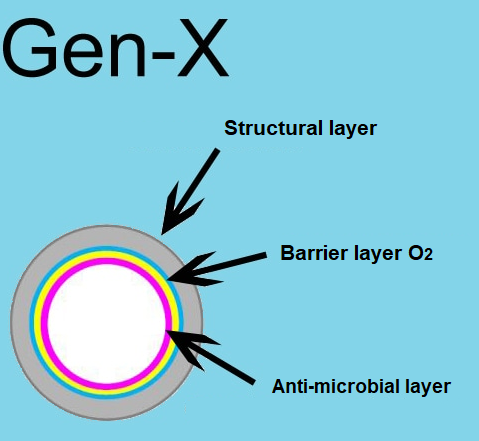 Hygienization serves to inhibit microbial growth.